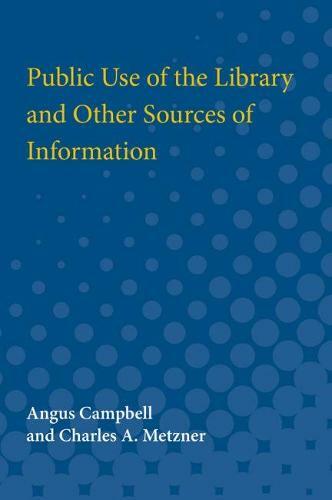 This short book presents the findings of a survey on the use of public libraries. The survey was conducted by the Social Science Research Council in 1947 under the auspices of the American Library Association, and conducted. Chapters cover materials housed in libraries, demographic findings on who uses libraries, and data on why patrons use libraries. The final chapter covers more speculative questions posed to the subjects of the study on new, extended services that libraries might offer in the future.